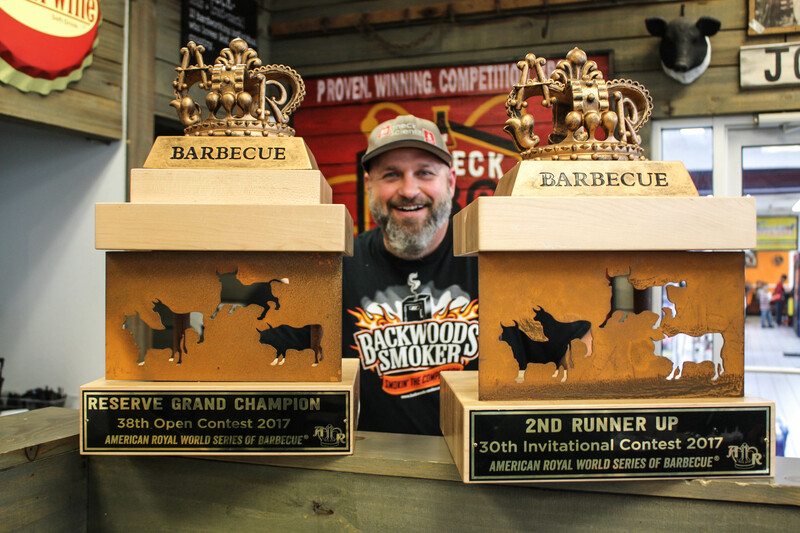 Redneck Scientific has competed in more than 122 Kansas City BBQ Society competitions earning 20 Grand Championships and 11 Reserve Grand Championships. They have competed up and down the East Coast and spots at the Jack Daniels World Championship Invitational BBQ and the American Royal World Series of Barbecue. The team has walked in first place more than 35 times for individual meat categories in pork shoulders, pork ribs, brisket and chicken. Next time you’re at the Lab, take a look at the trophy shelf to see the different awards and trophies earned by the Redneck Scientific team since 2011.